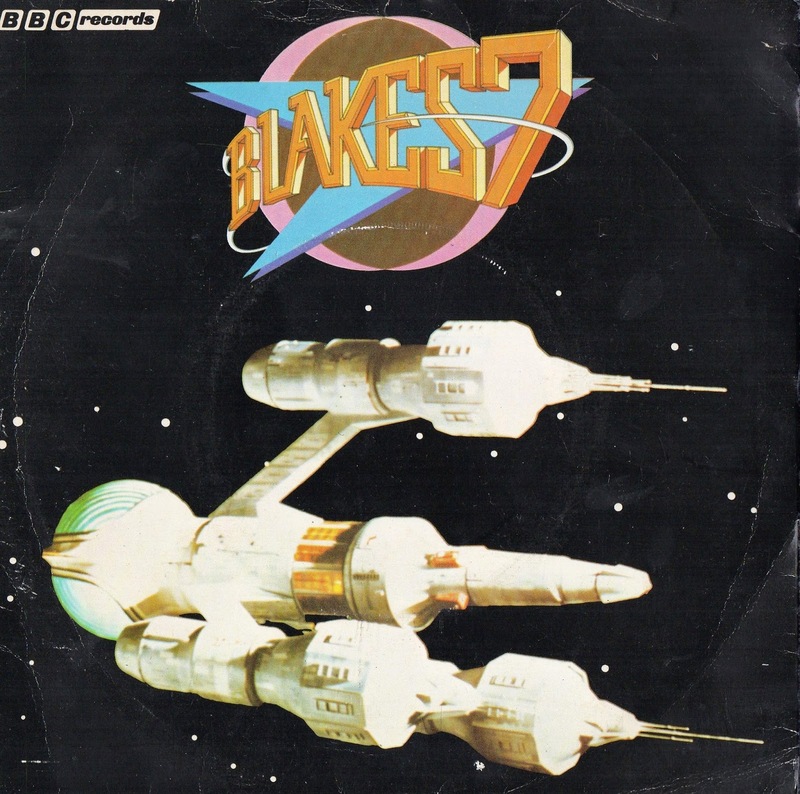 Oh, for a world where Blakes 7 is popular enough to warrant its theme tune appearing on not one seven inch single but TWO. Especially if one is a disco version. The mind boggles, then pops and fizzles out, never to work properly again. This is the original, as written by Australian composer Dudley Simpson. It loses a bit of vitality by being considerably longer than the on air version, but then who would buy a slab of vinyl featuring a piece of music that was only about thirty seconds long? Apart from us, that is. This is the disco version by Federation. To be searingly honest, it's actually hugely boring once the initial novelty dissipates but we don't care about that; the fact that this artefact even exists is good enough for us. As an added bonus, here's yet another version, this time from the majestic Geoff Love. We love Love. This track appeared on his 'Close Encounters Of The Third Kind and Other Galactic Disco Themes' album, which is seminal stuff and should be in every collection of music BY LAW. It is the Law and I do have a copy of it.